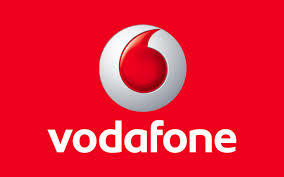 British telecom major Vodafone‘s Indian arm has asked the government to allocate immediately the spectrum it won in the February auctions. The operator has written to regulator DoT calling for the allocation of airwaves including 900-MHz spectrum in Mumbai, Kolkata and Delhi, the Economic Times said. It has warned that services in these areas could be disrupted if it is not allocated the spectrum immediately. Vodafone India is also asking the government to extend the expiry date for its existing 900-MHz allocation in the circles by six months after the allocation of 1800-MHz spectrum. As part of the re-auction, Vodafone’s holdings of 900-MHz in some areas such as Delhi will be reduced from 8 MHz to 5 MHz even after the new spectrum is earmarked. The operator plans to deploy over the 1800-MHz band to cover the gaps, but this migration will take at least six months, the report states. To avoid service and financial disruption, Vodafone India wants to deploy 1800-MHz spectrum first and then free up the existing 900-MHz spectrum. It is thus seeking an extension on its existing 900-MHz allocations. Vodafone India and rival Bharti Airtel were the biggest spenders in the February auction, paying around $3 billion apiece.